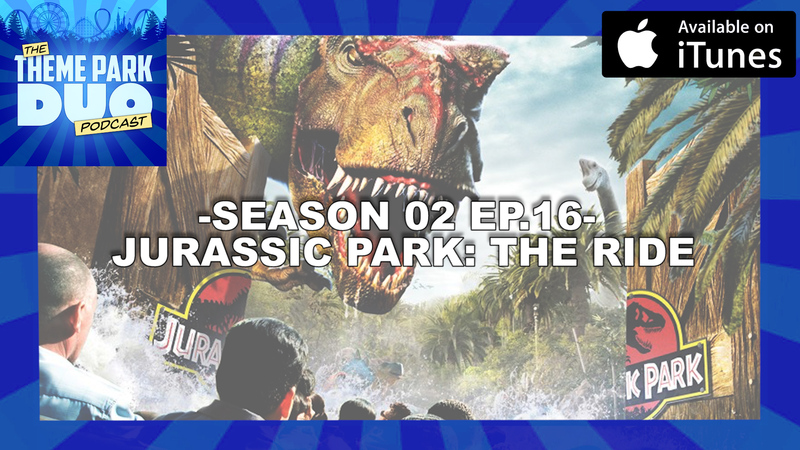 On this weeks episode, The Duo talk everything Jurassic Park: The Ride, here at Universal Studios Hollywood. What were the original concepts for the attraction? How much did it cost? HOW MANY PLANTS WERE USED!? You find out all this and more when we take a deep dive into the history of Jurassic Park: The Ride. It’s the least we can do to remember this incredible attraction before it’s permanent reworking to Jurassic World…the ride? Anyway, other than dinosaurs, The Duo also talk Halloween Horror Nights in Hollywood. Gabe was lucky enough to be invited on a construction tour with Creative Director of HHN, John Murdy, in the highly anticipated Stranger Things maze. WITHOUT SPOILERS, they chat about what he saw, what is planned and how the team is trying to bring the show to life every night for guests.